Over last weekend, I started working on EF-NX AF adapter. I am not sure if I can do this and how long it will take to complete. Anyway, I began to research EF mount and its protocol. I found a web site which contains good enough EF mount protocol info. to start. The basic pin-out as below. You can see detail info about the pins in the above link. Motor power is 6V, and Logic power is 5.5V. Logic communication uses SPI protocol. 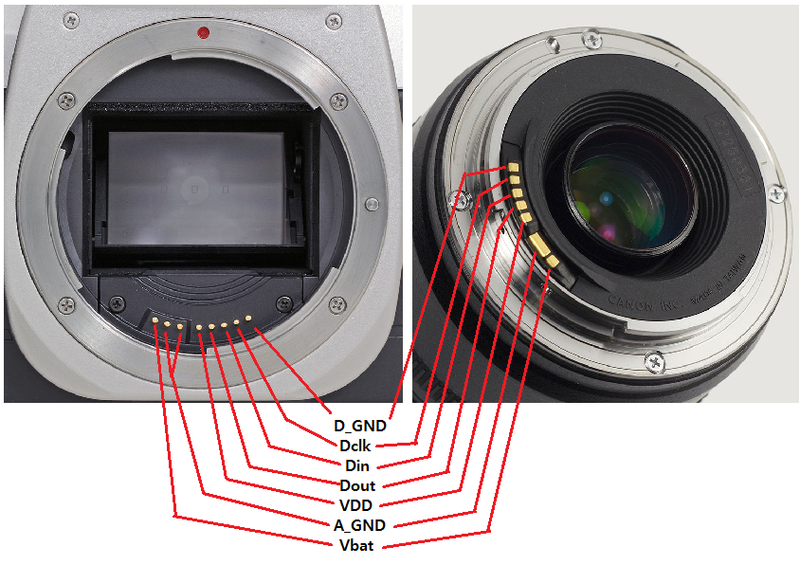 Camera body is a master and lens is a slave. 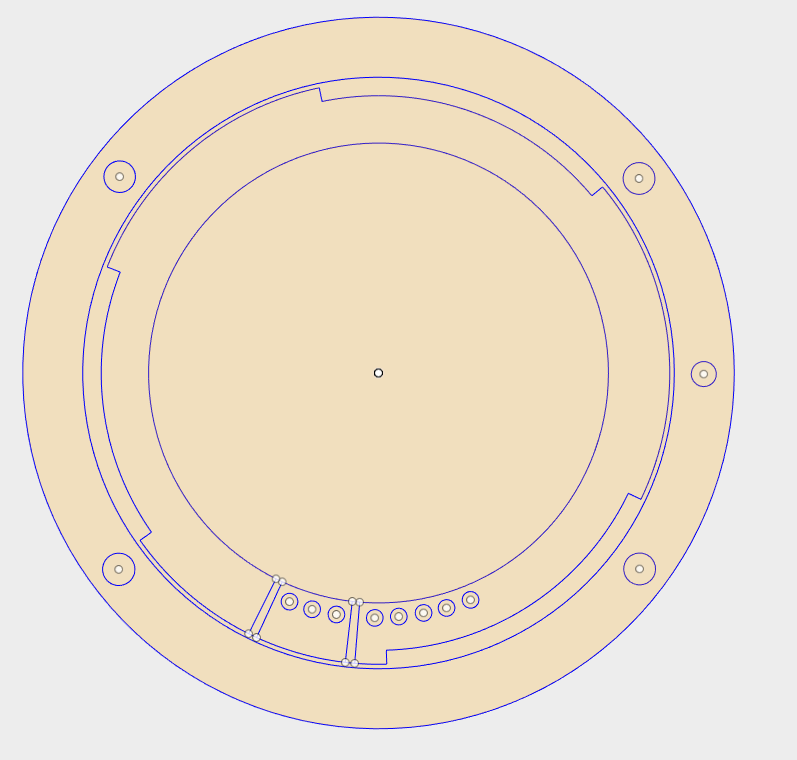 In order to try to control a EF lens, I needed to reverse-engineer to get mount/pins dimensions. Below screen shot is from my CAD screen after getting initial dimensions. For controlling a EF lens, I used Arduino to understand the protocol. I 3D-printed for contacts holder and made contact extension cable for the test. I took video clip for a EF lens control. It shows moving focus from MIN to MAX position and back and forth the focus position with rotary encoder.